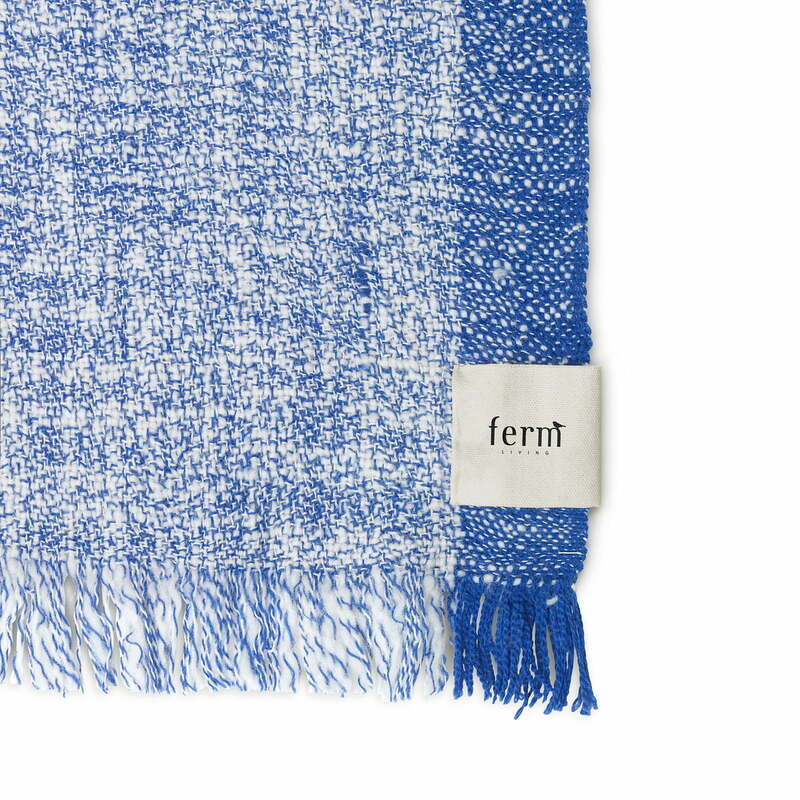 The Enfold blanket from ferm Living is not only a soft blanket with a beautiful appearance: In cooperation with the Danish Red Cross, ferm Living is launching the Enfold blanket in autumn 2018 to help families in need all over the world. Together with the Danish Red Cross, ferm Living would like to help people in need to survive the winter warmly and safely. Buy a blanket, donate two! For every Enfold blanket sold, the Danish Red Cross gives away two blankets! This means that a sold blanket protects two people in exposed areas of the world from the cold. The 135 x 170 cm blanket is made of soft and cuddly sheep's wool. The colour gradient and the fringes on the sides make the blanket a beautiful decoration on armchairs or sofas and keep you cosy and warm on cold days. And the best thing: Simply by purchasing the blanket, not only do you stay warm throughout winter, but two other people in need are also protected from the cold. For every sold Enfold blanket the Danish Red Cross gives two blankets! This means that a sold blanket protects two people in exposed areas of the world from the cold. So that ferm Living can donate as much as possible to the Danish Red Cross, all proceeds from the Enfold blanket will be donated without exception! 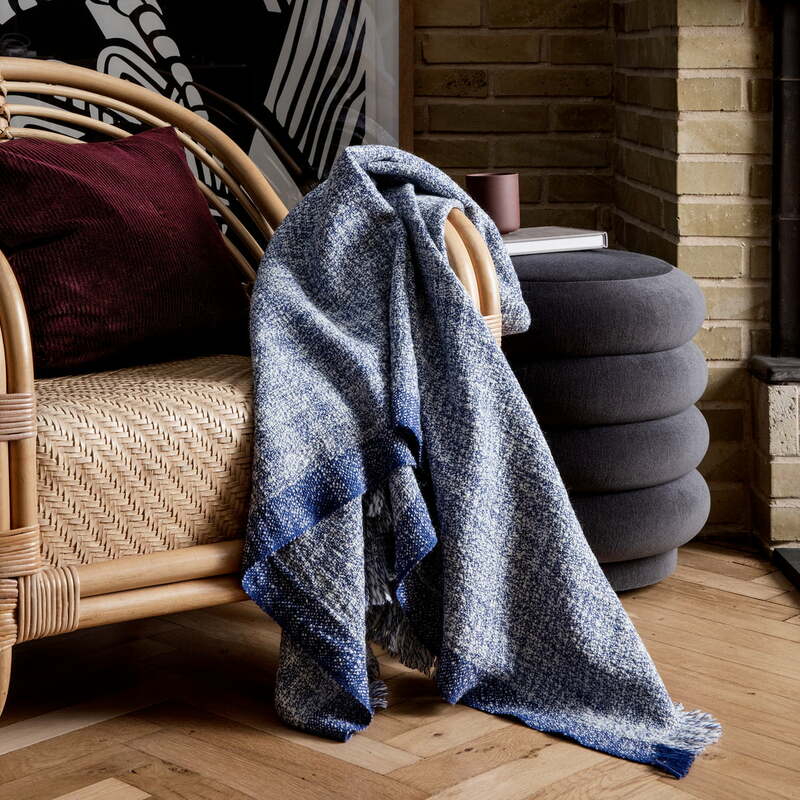 The Enfold blanket from ferm Living is not only a soft blanket with a beautiful appearance: In cooperation with the Danish Red Cross, ferm Living is launching the Enfold blanket in autumn 2018 to help families in need all over the world. 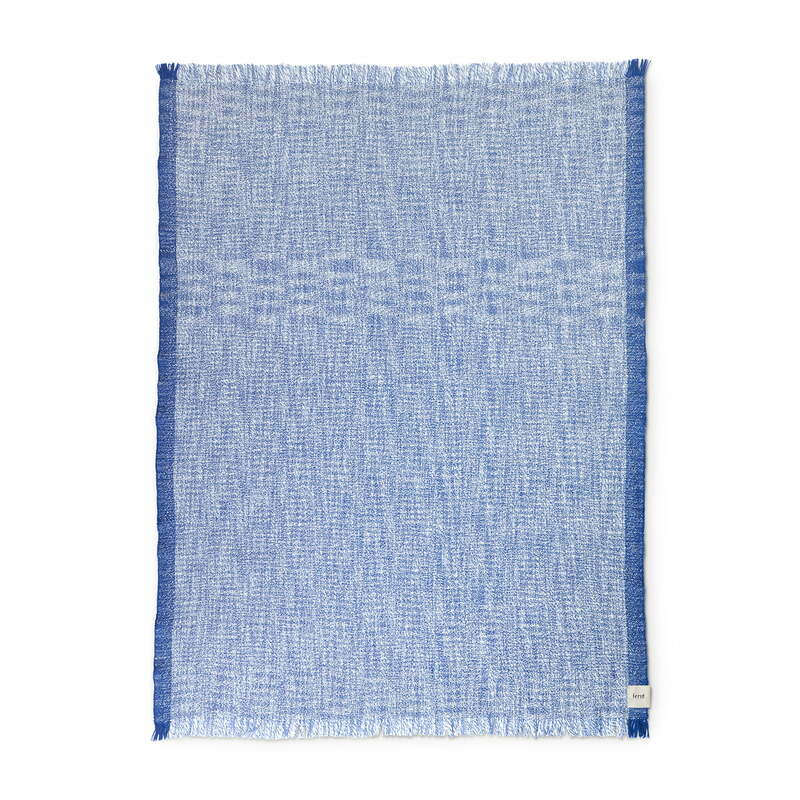 The 135 x 170 cm blanket is made of soft and cuddly sheep's wool. The colour gradient and the fringes on the sides make the blanket a beautiful decoration on armchairs or sofas and keep you cosy and warm on cold days.